This book presents, in a stepwise and interactive fashion, approximately 75 various pathologies that reflect the wide spectrum of disease encountered in this region. High-quality radiologic, laboratory, and histopathologic images depicting the differentiating features of the lesion subtype in question are then presented, and key operative and clinical management pearls are briefly reviewed. 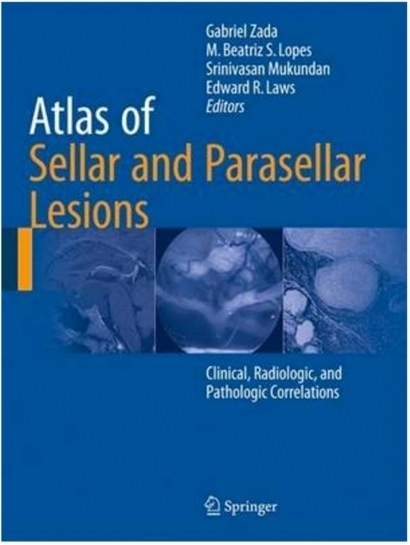 The interdisciplinary nature of this easy-to-use color atlas and textbook reflects the fact that the management of patients with sellar and parasellar lesions is itself often interdisciplinary. The format is unique in that no similar interdisciplinary book is available on lesions of this region of the brain. 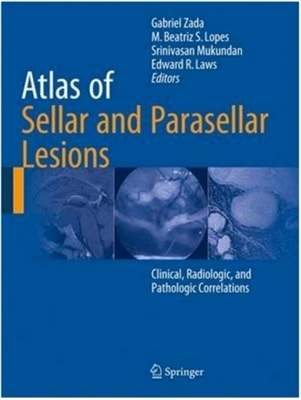 Atlas of Sellar and Parasellar Lesions: Clinical, Imaging, and Pathologic Correlations is of great value for practitioners and trainees in a range of medical specialties, including radiology, neurology, endocriniology, pathology, oncology, radiation oncology, and neurosurgery.